A list of Kosher products available through Chabad Beijing and at various Western grocery stores throughout the city. Is there a kosher Restaurant in Beijing? Both are located at the Bet Yaakov Chabad House. Both restaurants are under the Hashgocha of Rabbi Shimon Freundlich, Chabad Beijing. Do you have the menu online? Can you provide Kosher meal deliveries? Yes. We do provide deliveries. Please contact James at 13910740109 or email dinikosherbeijing@qq.com to order food. Do you have Shabbat meals at the Chabad House? Do you do Shabbat food delivery? For Friday night and shabbat day meal delivery please call the restaurant to order. Please note we do not accept orders for Shabbat food deliveries on Fridays. Thank you for your understanding. Thursday March 1st 2007 was a momentous occasion for the Jewish Community of Beijing! The opening of the first ever KOSHER restaurant in Beijing! A few very brave souls have invested a lot of money, effort, time and energy to bring the community and our visitors the opportunity of eating Kosher out in Beijing! The partners of the restaurant have named it "Dini's" in thanks to Chabad of Beijing and Dini Freundlich for being the only place till now that kosher meals were available in Beijing! A delicious menu for adults and kids, a beautiful setting and the ability to eat kosher out in Beijing is now a reality! 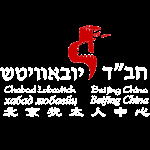 The restaurant is a meat facility and under the kosher supervision of Rabbi Shimon Freundlich - Director Chabad Beijing. Can I find Kosher milk in Beijing? 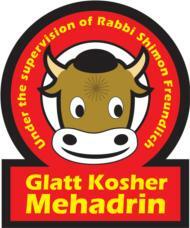 For those who rely on the Heter of Reb Moshe Feinstein OBM please note: Local milk is not considered Cholov Stam. The only milk that can be considered Cholov Stam in China is long life imported milk from countries such as Australia and France. Where can I get Kosher bread in Beijing? Where can I go to find Kosher products in Beijing? Chabad Beijing has a small kosher store stocked with products from israel, candy, tehina, chicken , wine, grape juice etc. The store is open daily from 9 am - 9 pm. Other Kosher products are found almost exclusively in Beijing's western style grocery stores (i.e. grocery stores catering mainly to westerns). For a list of shops and their locations, click Here. How do I know if something Kosher? Certain foods, like fresh fruit, do not need a hechsher (a symbol indicating that a mashgiach (kosher supervisor) approved a product as kosher certified) and many of these products are available in Beijing at both local and western grocery stores. Other products have a hechsher on the label or are listed on the databases that are maintained by the various hashgacha (kosher supervising) companies. In Beijing, certain products, such as meat and select breads are kosher under the supervision of Chabad Beijing. Please read the rest of this section for more details. For a comprehensive guide about kashrut, click Here. To view "G‑d's Diet", a 60 Minutes style documentary on kosher dietary laws and its impact on both body and soul, click Here. What hechshers/kosher symbols should I look for on products found in Beijing? Products bearing kosher symbols are found almost exclusively in Beijing's western style grocery stores. Click Here to learn more about these shops. Is there a list of what products are kosher? Available products vary during the year but usually include: Jam, peanut butter, salad dressings, tea, coffee, cake mix, baking powder/soda, dry yeast, pretzels, granola bars, pasta, rice, ketchup, vineger, oil, mustard, BBQ sauce, couscous, tomato paste/puree, canned corn, peanuts, mayonnaise, tuna, pickles, potato chips, flour, cereal, honey, oil, margarine, spices, laffy taffy etc. These products are imported from different countries such as the USA, Europe and Australia. Can I find Kosher chicken/meat in Beijing? G latt Kosher beef and chicken is available for purchase at the Bet Yaakov Chabad House Kosher Store. Available cuts vary. Please call (8610) 64388802 to order. Can I find Kosher Passover products in Beijing? Chabad arranges to bring in matzah and other Kosher for Passover products. Please let us know of your Kosher for Passover needs by e-mailing us at info@chabadbeijing.cnat least one month before Pesach and we will try our best to meet your needs.